Mysteries of History: “...Do not pass go, do not collect two hundred dollars” ~ The History Girl! These famous words can be read on a Chance Card or a Community Chest Card during a game of winner take all called Monopoly. Since 1935, this game has sold 200 million sets worldwide, been played in 103 different countries, and is printed in 37 different languages. Rather impressive numbers for a board game based on economic theories of the late 19th , and the early 20th century. The original name of this game was The Landlord’s Game and was invented in 1904 by homemaker Lizzie Maggie. 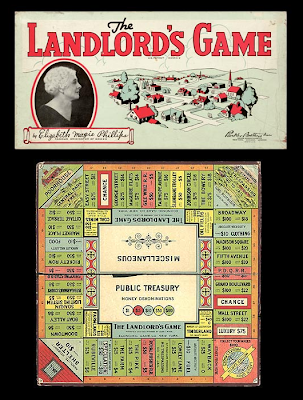 This board game was based on the theories of American Political Economist, Henry George, an anti-monopolist who believed that only real estate should be taxed. 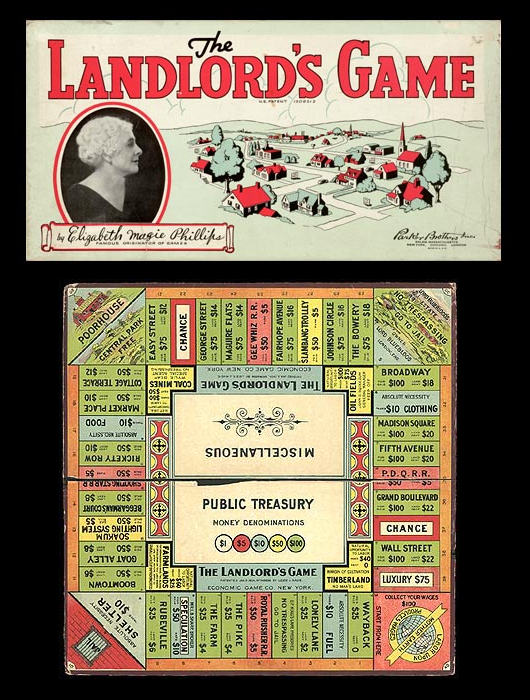 Lizzie’s game showed the public that the property owners of the late 19th and early 20th century were becoming “fat-cats” at the immigrant’s expense. An unemployed engineer of Germantown, Pennsylvania, Charles B. Darrow spent countless hours in 1933 playing and refining the real estate game. Newspapers of this time were loaded with articles about the financial problems of America. Darrow incorporated this information along with deed names of his favorite seaside resort, Atlantic City, New Jersey. After a few more tweaks, Darrow traveled to the home office of Parker Brothers Games in Springfield, Massachusetts and presented them with the game. The game gods of 1934 turned him down by claiming design errors, complex rules, and the length of time it took for one game. That did not stop Darrow from making his dream come true. With borrowed money, he manufactured 5,000 sets of Monopoly. He brought them to a Philadelphia department store, and quickly sold every set. Players of this era loved the concept of winning a pile of cash and with the throw of the dice, possibly losing the whole shebang. When word of Monopoly’s popular sellout reached the game gods, talks began again with Charles B. Darrow. In 1935, Monopoly was copyrighted and further precautions, Parker Brothers bought Lizzie Maggie’s patent for $500. Along with another game called Finance. With an executive’s background, Mr. Charles B. Darrow signed a contract with the game gods, which included a royalty’s clause that turned him into a millionaire.